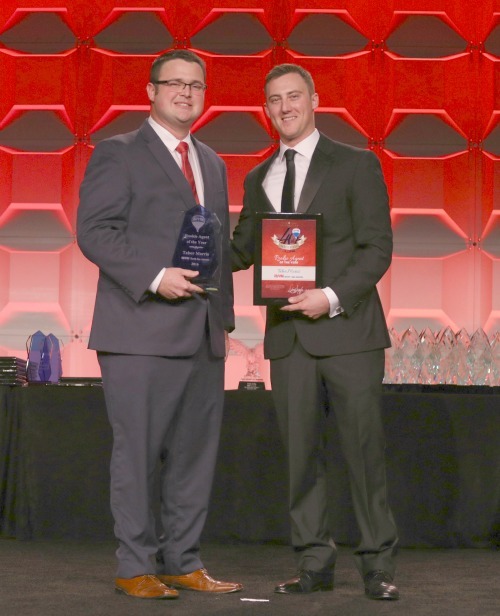 SAN ANTONIO - Feb. 24, 2017 - PRLog -- Tabor Morris of RE/MAX North-San Antonio has received the prestigious RE/MAX of Texas' Rookie of the Year Award. This award is given annually to a top performing new agent who exhibits outstanding attitude and exceptional sales volume during that first year. "It's an honor to be recognized by RE/MAX of Texas," said 26 year-old Morris. "I'm happy I chose to align myself with an organization that celebrates hard work and offers a supportive environment to grow one's business." Tabor has been serving his community as a local real estate agent with RE/MAX North-San Antonio for a little over a year now and has extensive experience in the local housing market. After being licensed less than one year, Tabor joined RE/MAX North-San Antonio at the end of 2015 and soon started a team with the addition of agent Jenna Moore. In 2016, his Team closed $12,674,640 in Volume, resulting in $351,378.73 in GCI. That is 56 closed sales with an average sale price of $226,332.85. "We have loved having Tabor as a RE/MAX North - San Antonio agent since day one," said RE/MAX North-San Antonio Owner Kate Keating. "Tabor exudes confidence, competence, know-how, and personality."